LFC Official Membership are offering you and a guest of your choice the chance to win the perfect Red weekend. 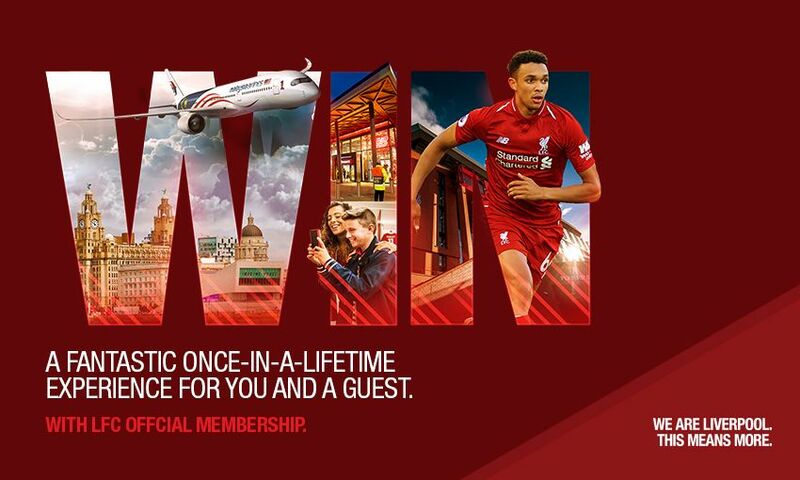 You could be packing your bags and heading to Anfield to watch a game with hospitality matchday tickets as well as money towards travel and full accommodation, all courtesy of LFC Official Membership. For your chance to win this fantastic package all you have to do is enter your details in the Members’ Area before midnight on February 10, 2019. Not a Member? Join now and enter in the Members’ Area for your chance to win. Terms and conditions apply. Entrants must be LFC Official Members and be of 18 years or over.